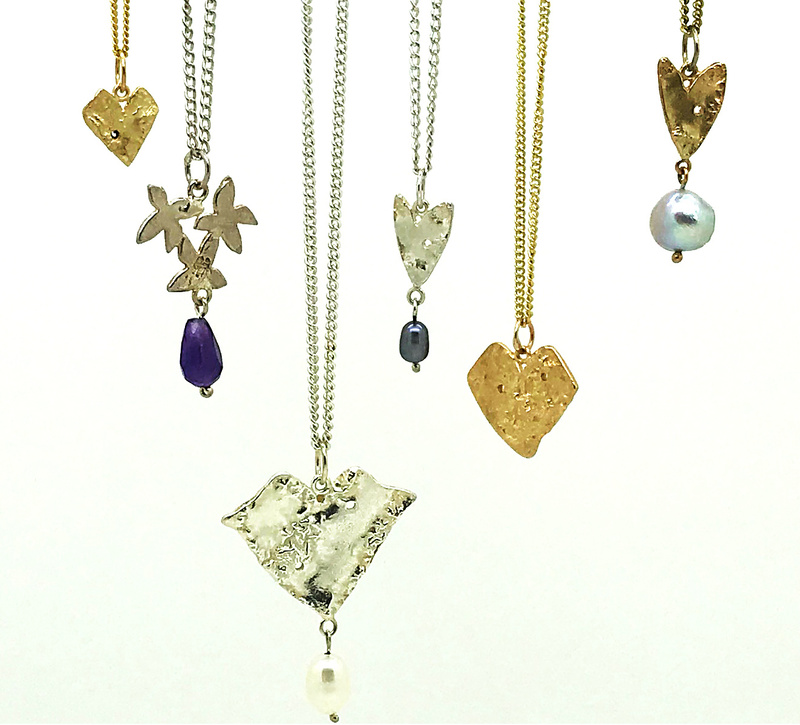 Holly Belsher uses precious metals to make jewellery inspired by the natural world and the English countryside in particular. Born in Exeter, raised in Suffolk, her happiest memories are of hours of turning over pebbles on Felixstowe & Aldeburgh beaches to find carnelians and fossilised sharks teeth, picking up jays feathers, discovering a pheasants nest full of eggs in a field. Pressing wildflowers and discovering all their names, finding fossils, a sea urchin in a chalkpit, sponge fossils in stones in the garden miles away from the coast and taking them to Ipswich Museum to identify them. Holly returned to live in Devon in 2007. The tangled shapes of the centuries old hedgerows in the deep Devon lanes fascinated her and inspired silver Wintry twig “Hedge” brooches with 18ct gold leaves. Single beautiful cast twigs make delicate understated earrings. She also makes a range of cast silver & gold earrings, brooches, bangles and cuff-links with reticulated texture employing her signature reticulated (melted) surface. Necklaces are individually made, each tubular bead is softened and made to look almost organic in the same way. A splash of colour provided by semi-precious stone beads. Lapis Lazuli for blue, amethyst for purple, Peridot the acid green of new shoots. Dove greys, pinks and cream in baroque freshwater pearls. 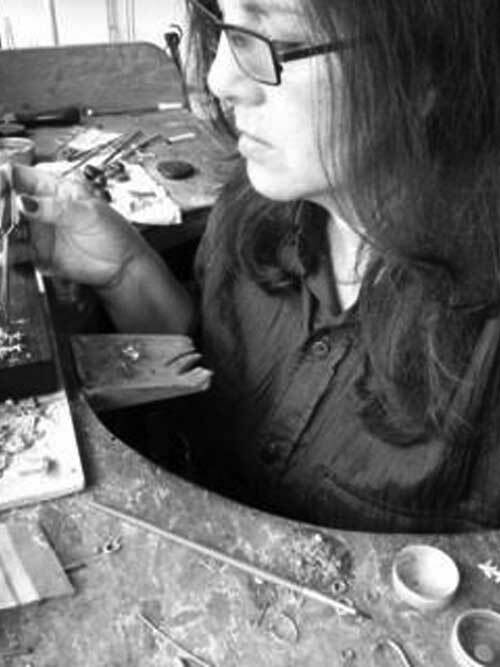 Holly graduated in Jewellery design from Central St Martins and then The Royal College of Art, London in 1980 and continues to enjoy hand making her jewellery designs.